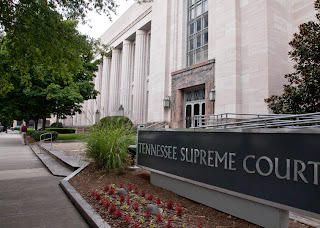 The Supreme Court of Tennessee recently issued an opinion in Cyrus Deville Wilson vs. State of Tennessee, a case concerning whether a notation in the prosecutor’s file expressing her opinions to the lack of credibility of the State’s witnesses is newly discovered evidence which the defendant may base a petition for writ of error coram nobis (a legal writ issued by a court to correct a previous fundamental error to achieve justice where no other remedy is available). In the case, Cyrus Deville Wilson was tried and convicted for first-degree murder and sentenced to life in prison. Key to the State’s case were two juvenile eyewitnesses. Petitioner obtained the District Attorney’s file in this matter which contained handwritten notes wherein the prosecutor had written “good case but for most of [the witnesses] are juveniles who have already lied repeatedly.” Petitioner then filed a petition for writ of error coram nobis contending that this constituted exculpatory evidence that was withheld in violation of his constitutional rights and requested a new trial. The coram nobis court dismissed the petition. The Court of Appeals reversed the judgment of the trial court and remanded for an evidentiary hearing. The Court of Appeals held that the petition raises a possible ground for relief, but that numerous facts need to be established before the trial court can determine whether the petition has any merit. Therefore, without an evidentiary hearing there is not enough evidence on the record for the coram nobis court to determine whether the petition has any merit. The state appealed. The Supreme Court held that the handwritten note expressing the prosecutor’s opinion as to witness credibility was attorney work product. As such it was neither discoverable nor admissible. Thus, the note ought not be deemed newly discovered error on which a petition for writ of error coram nobis could be based. The Court reversed the Court of Criminal Appeals and reinstated the judgment of the trial court. To read a full version of the opinion click here.